The E-M1X looks like an old-school DSLR, but it is packed with some incredible technology and a tiny Micro 4/3 sensor (a quarter of the size of a full frame sensor). This camera was made for professional sports and wildlife photographers, but it's got so many extra features that almost any photographer or videographer would appreciate it. The E-M1X is the largest and most professionally built M4/3 camera ever. It's large, but it feels extremely comfortable in my large hands. It has a built-in vertical grip with duplicate buttons and room for an additional battery. The camera is completely weather-sealed and freeze-proof. It's obviously the most robust M4/3 camera ever. The button layout on this camera is extremely well thought out. Even though this was my first time using an Olympus camera, I felt right at home. Function buttons and switches are placed around the camera that can be totally customized to control the functions most important to you. The E-M1X has a 20-MP sensor, which is probably enough for most people, but may sound a little low when compared with current cameras that are pushing 50 MP. 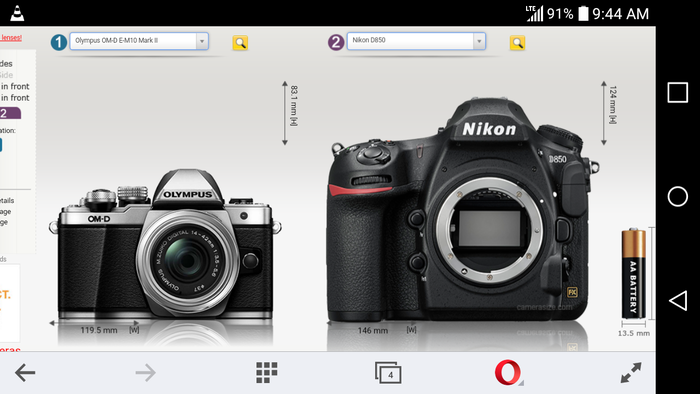 Because this camera costs $3,000, it must be compared with other cameras in that range. In the video above, I compared the image quality of the E-M1X to the Panasonic GH5 and Nikon D850. Perhaps the E-M1X has a slightly better image over the GH5 but as expected, the Nikon D850's 45-MP file was much better than the files from the M4/3 cameras. The E-M1X does a decent job of shooting 4K at either 24 or 30 fps, but when you compare the footage side by side to the GH5, the GH5 is the clear winner. The GH5 has many more features for videographers as well, like 4K at 60 fps, 10-bit color, and an unlimited record time. The GH5 is clearly a superior video camera in almost every way (aside from autofocus). Olympus claims that the E-M1X has the greatest optical stabilization of any camera in the world at up to 7.5 stops. By this logic, if you could shoot a clean image handheld at 1/50th of a second without OS enabled, you should be able to shoot at a full 2 seconds with it enabled and still get a sharp image handheld. In my tests, this didn't seem to be the case. The GH5 appeared to work slightly better when it came to stabilizing video and still images. That being said, the E-M1X still has incredible stabilization and I was unable to test the one lens that Olympus currently offers the full 7.5 stops of performance with. Most M4/3 cameras struggle in low light because their sensors are so small. In our tests, the E-M1X was approximately one stop better than the GH5 but was still significantly behind the full frame D850. One benefit of a smaller sensor is read speed. When a mechanical shutter isn't used, each pixels data must be read one by one, and this can create warped still images or a "jello" effect with video during panning. The Olympus E-M1X doesn't have significant rolling shutter issues, but in our tests, it did appear that the GH5 was slightly better. The E-M1X's most impressive feature is its autofocus. Perhaps Sony's current cameras are still slightly better overall, but the E-M1X is certainly a competitor and it's clearly winning among other M4/3 cameras. The E-M1X has a range of different tracking modes that can lock on to moving subjects or specified subjects like faces, cars, planes, cars, or trains... Yes, trains... It has a train detection mode. If you shoot sports or fast moving subjects, you're going to love this camera. The E-M1X is extremely fast when you need it to be. This camera can shoot at 10 fps with a mechanical shutter, 18 fps totally silently, or 60 fps without continuous autofocus. The E-M1X has a "high-res shot" mode, which automatically takes and combines multiple images into a 50-MP raw file. This feature can be used on a tripod or handheld. When it works, it's extremely impressive, but in my tests, I produced a few partially blurry images that were worse than a standard shot. The E-M1X also has a digital neutral density feature called live ND that once again takes multiple images and will blur only the areas of the scene that are moving (like water). It's a great option, but in my tests, the files still looked worse than a standard multi-second exposure. Perhaps my favorite feature of this camera is the "pro capture" mode that will silently and continuously take photos in the background while the shutter button is pressed halfway. Once you fully press the shutter button, the camera will save all of the images in the buffer to your memory card and begin taking standard pictures. This feature is incredibly useful in sports and wildlife photography when you are waiting for the perfect peak of action. 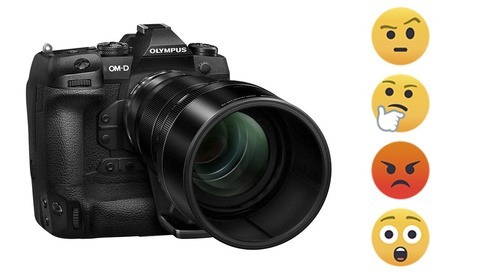 The Olympus E-M1X is an absolutely amazing camera with a not-so-amazing sensor. 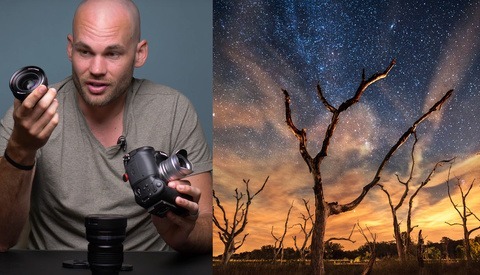 For $3,000, the average stills shooter would probably prefer buying a camera like the Nikon D850, and for the average video shooter, the Panasonic GH5 is superior in almost every way, and it's half the price. But, if you're a sports or wildlife photographer, and you hate having to carry around gigantic, heavy telephoto lenses, the E-M1X may still be an excellent choice. That's really the beauty of the whole 4/3 system. It shrinks everything, not just the body by a slight margin like mirrorless. You can comfortably use 200mm (35mm equiv.) lenses on micro 4/3 with absolute ease. You may not see it on the sidelines at major sporting events, but for a seasoned hobbyist to a part-time professional, it delivers comparable end-result so long as you don't pixel-peep. That depends on the sporting event though doesn't it? During a bright sunny day and a sport played outdoors it wouldn't be bad but indoors, overcast, evening during fall months i.e. American football would be no go I'd imagine, put a speed booster on and your finding yourself wearing the same amount of weight as before. I can't speak for the M1X but with the M1-ii (basically the same camera) I've shot high school football games under 'meh' lighting and get better than acceptable results, using the 40-150 pro lens. Would I submit the photos to ESPN or print a billboard with them? No, but for yearbook, social media, newspaper type work it holds its own just fine (especially when paired with a good lens, which is a more critical issue probably than with a larger sensor camera.) The problem I have with the M1X is the price. If you're charging D850 prices it should deliver D850 results, and so for that reason I have no plan to upgrade to it. Ah yes, the body. It's a delight to hold. This but APS-C with a Canon mount and it would be worth $3,000 to me 😊. Pro Capture mode sounds great! You think $3000 is a lot for this camera. Here in Sweden they want SEK 35000 ($3800 USD). That's more than double compared to the E-M1 Mark II which already have most of the features except train/car/airplane autofocus and handheld high resolution shooting. Shame on you Olympus! this review is poorly done. Not because it is not inline with how I view this camera system or camera, but because there are glaring mistakes. It is clear that you did not read the manual and setup the camera before you did the review. 2. You stated that in the hi-res mode raw picture resolution is 50 MPix. It is incorrect. It is 80Mpix (Tripod mode). It is 50MPix RAW and JPG in the handheld mode. 3. 7.5 stops of shake reduction doesn't mean that you can get away with poor technique. I own E-M1 mark 2 and have easily taken sharp images as low as 2 seconds. I expect better from fstoppers in the quality of review. The review is poorly done because I didn’t add that it came create an 80mp file on a tripod? Why not just mention that I should add that to the post? As for the stabilization, do you think I had poor technique with the Olympus and good technique with the panasonic? Wow he took off his glove to slap you. Your review is poor... it is not as comprehensive as say a dpreview, or Thom Hogan or Steve Huff. I like your website, and have appreciated a lot of stuff posted here. But this one just does not cut your standards. there were a couple of reasons where your review falls short. This is just for starters. If I have the time, I could get pretty detailed on why I am giving you a D on this review. 7.5 stops of stabilization comes when you use IBIS and on lens IS. Not all lenses have built in OIS. Shoot with a 300mm f4 and you will be able to shoot hand held sharp upto 2 seconds. I have shot sharp upto seconds on E-M1 ii with 40-150 mm at 150 mm (IBIS engaged). And this is not even a lens that has OIS built in. I don't think you like being challenged. Inasmuch as you're correct, I'll have you know that the entertainment value of your comment is greatly appreciated.. I think if you're on the circuit of motocross or MTB events, it could be perfect. If you're shooting a ton of small gigs that involve lots of travel, it seems ideal. Olympus needs to partner with Google - the industry leader in computational photography. Combine the larger sensor with Pixel-level image processing and the results will be mind-blowing. If you know how Japanese companies operate, you will understand why it won't happen. You will be surprised how much in the back these firms share technology with each other. I had my fix of M4/3 with the GF1 and GX1, telling the world it was all that was needed and cool to be small. I soon got over that though, for my work, utterly useless. Was a fun thing to have but what you could do with the RAW file was limited. I can see the appeal, no need to have huge heavy lenses when on holiday. Side-line sports, again, lighter tele lenses a bonus I guess. Stops there as far as I'm concerned especially when you see what this costs. It might all be grown up and big and buttony. You're selling what comes out of it though, not what the camera looks like. The last feature though, nice! You can still get usable imagery from an M4/3 sensor, but it's no match for even an APS-C sensor, never mind full frame. But that's not why you shoot with M4/3. You can take M4/3 gear where you may not be able or desire to take larger gear, and as a consequence get a shot you otherwise would not, regardless of IQ. The M4/3 crop factor is an advantage when shooting telephoto, but you're a disadvantage if you want to shoot wide, so it's a double-edge sword. 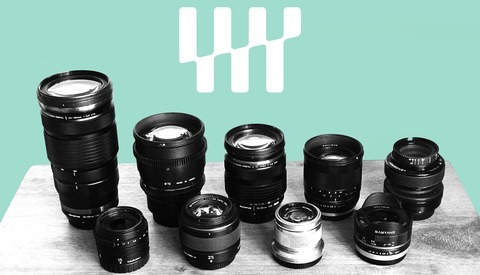 The "micro" stands for the smaller mount, compared to the initial Four Thirds mount. But I assume you know this already. Yes, I'm just playing with the terminology.